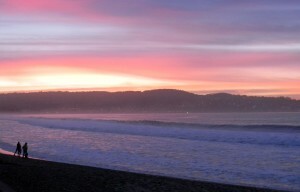 The beach and Monterey Bay outside the Monterey Beach Resort … oh, and a pretty sunset. This is a fabulous destination a few hours flying north of SoCal Skies. The beach in front of the resort runs for miles. 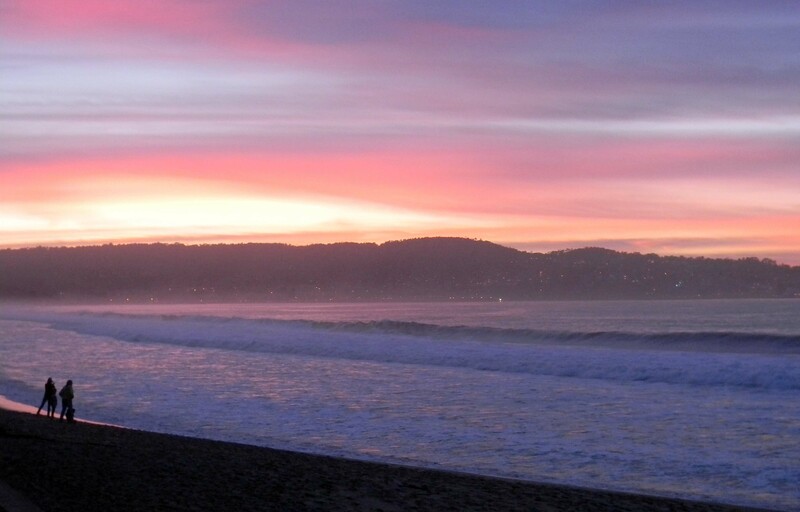 Take it southwest and, in about 2 miles, you’ll be in Monterey. You can lunch or sup in town, on the old wharf (I’m partial to the Sandbar & Grill) or on Cannery Row. You can drive into Carmel and dine at Clint Eastwood’s place, The Hog’s Breath Inn – or you can spend your money driving 17 mile drive and ooh and ahh at all the pricey homes. 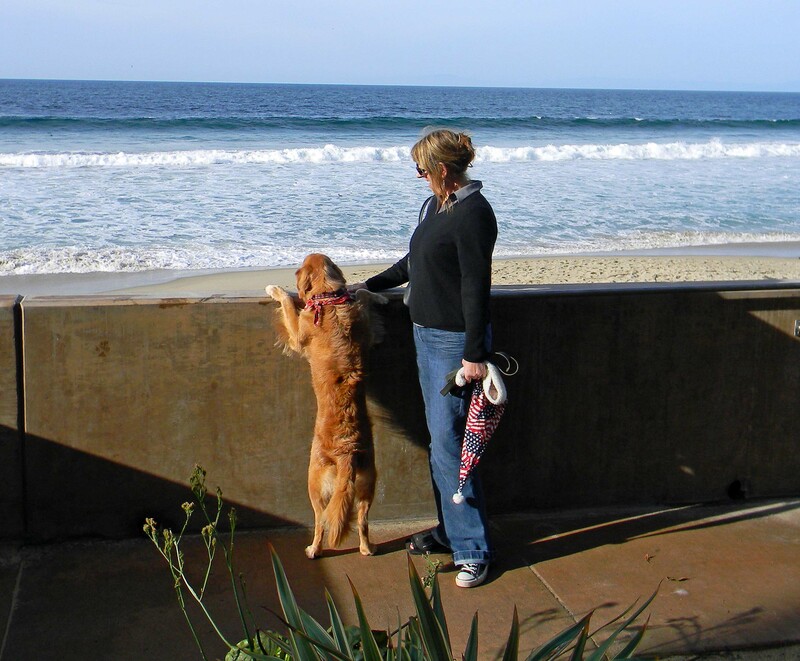 We like the Beach Resort because it’s dog friendly (for a nightly fee). The Skye dog loves it. She starts whining when we’re 20 miles away and can barely contain herself when we arrive. Every sea bird on earth lives on or near the beach and Skye wants to chase and greet each and every one of them. We try to make at least one trip a year, here. If you fly up, it’s a couple of hours from MYF. If you drive, it’s about 8. For us, it’s pure relaxation – for the Skye dog, it’s Golden Retriever heaven .